Hi! I have a few questions about the battle.net Launcher and hope someone might know more about it. I wondered if the "World of Warcraft Launcher.exe" is only available in old installations before the Battle.net Launcher was introduced or does every copy of WoW have this file in the game directory? 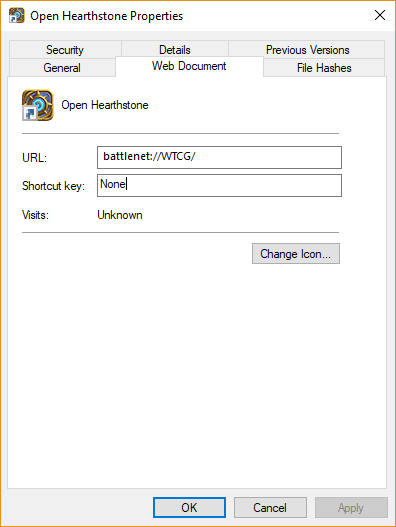 It would be great if some people could check and tell me so I know if it is reliable to use this file to launch the bnet launcher (used for my new WoW Launcher 2). Does anyone know if the Battle.net launcher supports command line parameters to launch with a specific game or page (shop/news) open? Or can you start a scan&repair action for a game with them? And finally, does anyone know if/how you can access the builtin newspage? The old launchers had a normal website which could be opened in any browser. But does anyone know the location/URL of the new newspage from b.net launcher? If memory serves, it was just "Launcher.exe" before bnet. But it doesn't matter, since every installation of the game (legal ones, anyway) call it "World of Warcraft Launcher.exe" now. Don't make your program backwards compatible, as that creates headaches for you, users, and possibly would support private servers. You don't want any of those. If memory serves, it was just "Launcher.exe" before bnet. It may have been just "Launcher.exe" at one point in the distant past, but it's been "World of Warcraft Launcher.exe" since at least Cataclysm. Ok, thanks. Then I will execute the "World of Warcraft Launcher.exe" to launch the Battle.net Launcher with WoW open (since there seems to be no commandline params available or known, yet). I just tried to launch WoW via WoW.exe and WoW-64.exe but it seems the Launcher is always run first. Does anyone know how to skip it to get into the game immediately? Last edited by Bl4ckSh33p : 12-09-14 at 04:24 AM. You can in the Battle.net launcher specify application parameters for each game yes, if that's what you meant. Yes, I know about this. But I wanted to know if someone knows a param to start the game without launching the battle.net launcher first. Clicking on WoW.exe opens the Launcher for me (after a while). Unless there is some secret, hidden, unknown way, I don't think it is possible to run without the launcher anymore. Sure there is. Just launch Wow-64.exe (or Wow.exe if you're on a 32-bit system) directly. I even have an Autohotkey script that launches WoW and logs me in. I generally don't use the Battle.net launcher, because I don't want to be logged into Battle.net chat when I'm not actually playing a game, and the only way to disable chat in the launcher is to use "offline mode" -- which also disables the one and only useful feature of the launcher, which is logging me into the game without making me type my password. The last time I had tried that (without the Launcher already running) I ran into the same thing that Bl4ckSh33p just said was happening - the launcher would start up first. He said that happened when he opened the WoW-specific launcher (World of Warcraft Launcher.exe in the WoW program folder), not when opening Wow.exe directly. The other option would be simply to delete the Battle.net launcher, though that's probably not a good option in a program you intend to distribute to the public. Oh, I didn't see that, but I'm not sure why that would happen, either... I've never used the launcher regularly, even before they added the Battle.net launcher, and have only had the launcher pop up when there's an update to download. Ofc there's a way. How would battle.net app start the game then? D3 uses "-launch" command line switch to skip battle.net app. Wow should skip it without any additional command line switches (still WoW probably supports "-launch" switch too). There's also "-config" switch (this one seems to be quite new) for wow.exe that allows specify config file name that replaces settings from "wtf\config.wtf". This allows you to have one game installation with different settings (monitor, resolution etc). I don't see "-config" switch mentioned anywhere, so I leave it here. Last edited by TOM_RUS : 12-11-14 at 08:41 AM. To add onto this thread, it is possible to launch through Bnet without having it open the battle.net gui. Does somebody know the battlenet:// link for Destiny 2?